LL Equipment & Machines Pvt. Ltd., An Organisation formed on the principle of satisfactory in fulfilling client’s requirements and needs in the most efficient & user friendly manner. The organization achieved leadership position working diligently on this philosophy and still continues to do so. Headed by one of the pioneers in the industry its products designs, quality and aesthetics are still an benchmark for the industry, but we do not rest on our laurels and continue to improve the Technology. This philosophy has let the organization maintain its leadership position in the industry with a strong management & manufacturing team which helped to build one of the most advanced & largest manufacturing plant in the industry with an all India sales & service network having already established its presence in India it is now targeting International market. It has been utmost pleasure being a part of the industry and being one of the leaders in developing various benchmark products for the industry and still are; some of our salient achievements over the decades have been. Being the first to manufacture complete range of gastronome pans in India and still the only one to manufacture in 1mm. Developed one of the finest range of chafers for Indian and International market and still exporting world over. 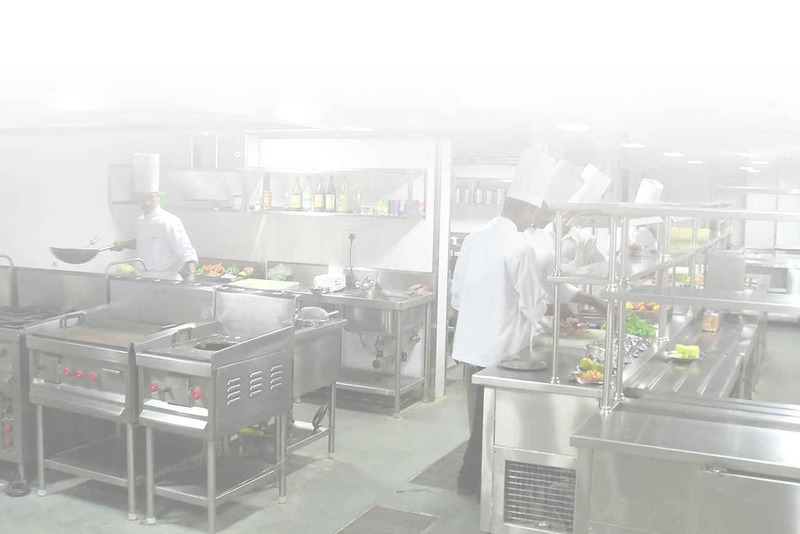 One of the few companies in the field to manufacture highly efficient & user friendly tilting bratt pans, bulk cookers being used in major industries in India. Developed one of the most innovative steam cooking equipment & system for various industrial cooking appliances used by major industries which have been able to do substantial saving in fuel consumption. For heavy cooking appliances developed one of most efficient stainless steel burners which saves gas consumption by 40-45% in various heavy usage equipment. Pioneer in island and cantilever cooking batteries which adhere to HACCP standards.